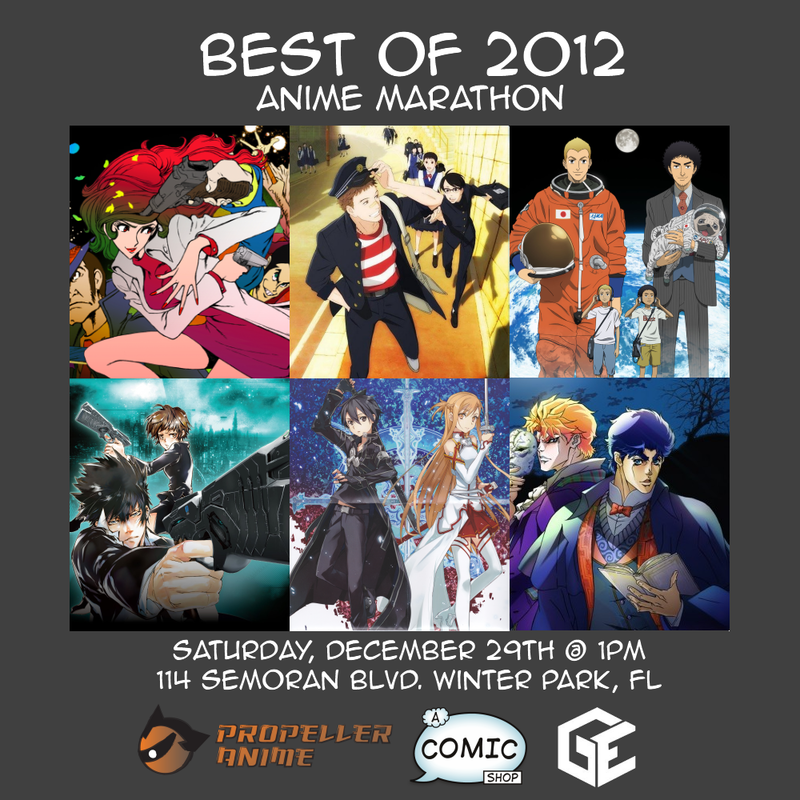 Propeller Anime: Best of 2012 Anime Marathon! How this will work is very simple.We have sent out ballots to over a dozen people that not only include members of Propeller Anime, but also bloggers, podcasters, and other anime club leaders that have been keeping up to date with anime this year. With their combined votes, we will select the top five anime TV series and show the first two episodes of each at the marathon. Afterward, everyone at the marathon gets to vote on what they think the best anime series of 2012 is and we'll show a bonus third episode of that! If you're looking to see what the best of the newest anime is, then this is one event that you do not want to miss! This is our longest showing of the year so feel free to bring in food to keep yourself going! A Comic Shop is located at 114 S. Semoran Blvd. Winter Park, FL 32792. RSVP on Facebook!